It’s time to clear out the winter cobwebs of your mind! Weight Release programs are here to help! Sign up for a free consult and know how to get unstuck and move forward now, not later. Feeling stressed out? Are you a new or fairly new mom (one of my many HypnoBirthing moms?!!) who is feeling overwhelmed with your responsibilities? Get signed up NOW for Healing Hypnotherapy’s 4 Session Stress Relief program! You will learn how to use your powerful mind and imagination to work FOR you, not against you. Do you feel you’ve lost your “touch” in creating more joy and richness in your life? Step into ACTION and learn how you can tap into the wealth of resources that reside right within YOUR mind! Lastly, if you know it’s time to get rid of a dis-empowering habit, such as smoking, biting your nails, grinding your teeth or even the habit of something you “fear,” such as dental procedures (I’m a retired dental hygienist, too! ), there is NO Better time than the now to clean up and clear out all that is working against you. If you want to make changes in your life or know someone else who is ready and looking to take that step, I’m ready to talk with you and see if hypnotherapy and coaching is the right path for you! 10% off the regular program fee. 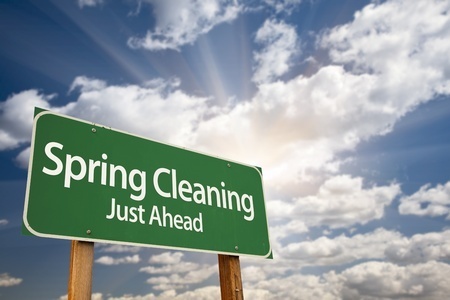 Here is your opportunity to do YOUR Spring cleaning! Here’s your opportunity to blossom and shine! Remember: You are always ONE CHOICE away from changing your life! Stress Relief Tip: Create More Space in Your Life!